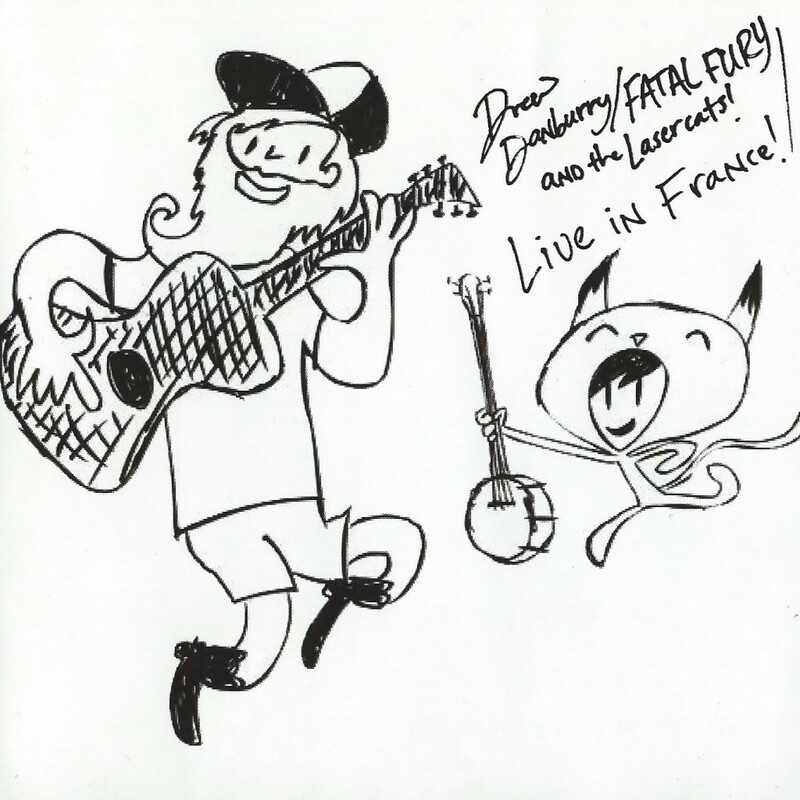 Drew Danburry/FATALFURY and the Lasercats! I know that by equating this menage, trios to Bright Eyes will immediately lose most readers, and I usually only make this comparison to denote: emo sap-drooling, watch out! However, I’m going to extend myself and defend the honest and beautiful folk aspects that are in some Bright Eyes albums; the same goes for Drew Danburry and Co. in this fatally exposed, Live in France recording. I think everyone has experienced some hippie bluegrass improv at a house party. It usually ends up being both unusually enticing, the social inclusion and oddity that is call-and-response between oatmeal skin-colored boys with goat-haired beards and the rest of a carpet-stained living room full of otherwise socially neglected mousey boys and girls drinking Rolling Rocks, and repulsive, effectively creating a psycho-sexual struggle-straddle between voyeurism and consciousness. Now take this template and swap the characters and context: US folk artists playing in a bar for and with the French petit bourgeoisie. Interesting in the very least.